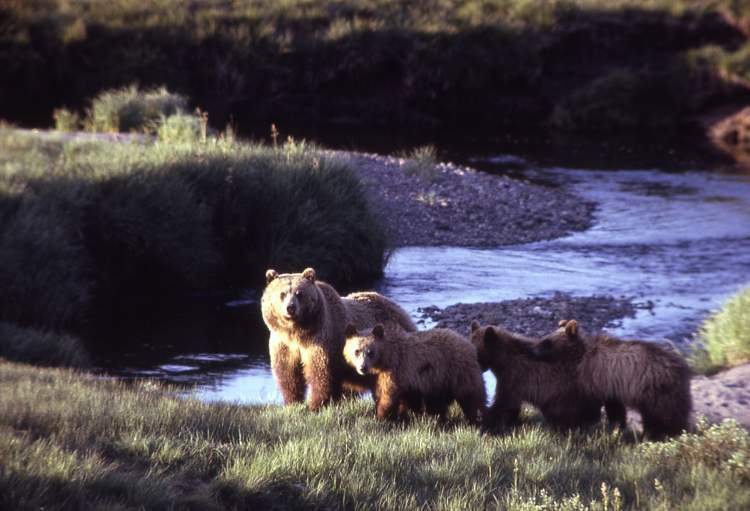 As the grizzly bear population rises, the bears spread into more of their historic range . 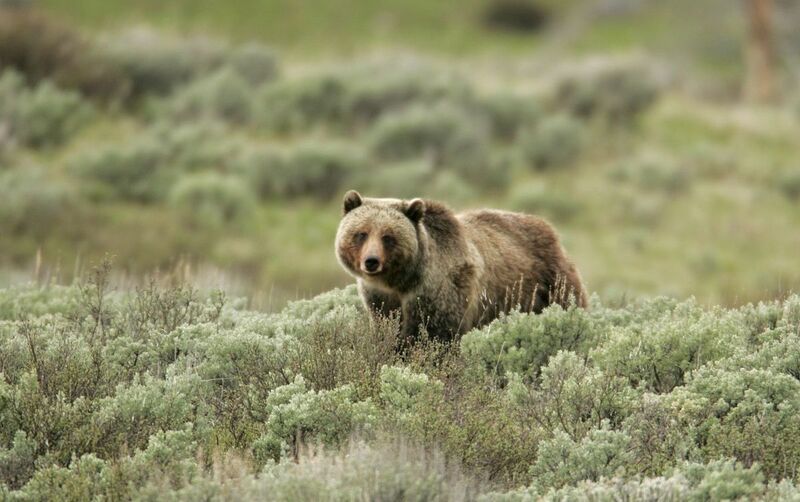 . .
A probable grizzly bear sighting just over the edge of the Missoula Valley highlights the theme of this week’s Interagency Grizzly Committee meeting in Choteau: People get ready. 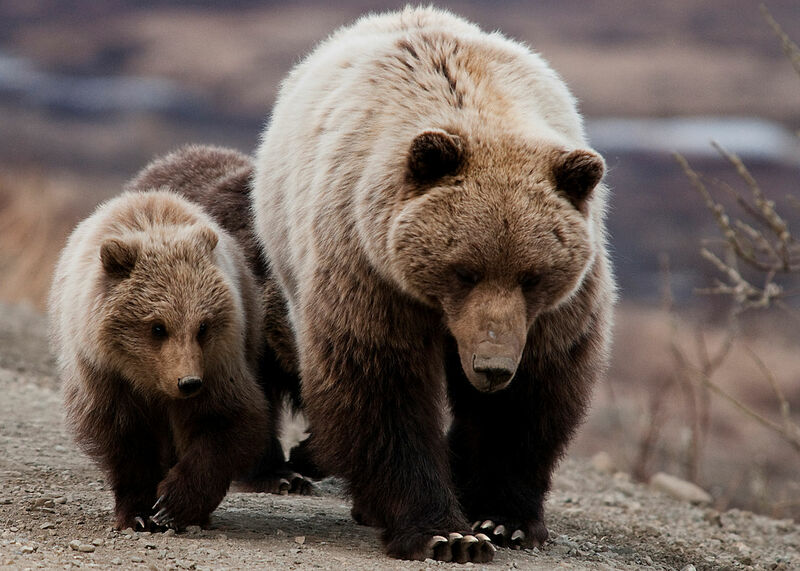 Since getting federal protection under the Endangered Species Act in 1975, grizzly bears now number nearly 2,000 in the continental United States. 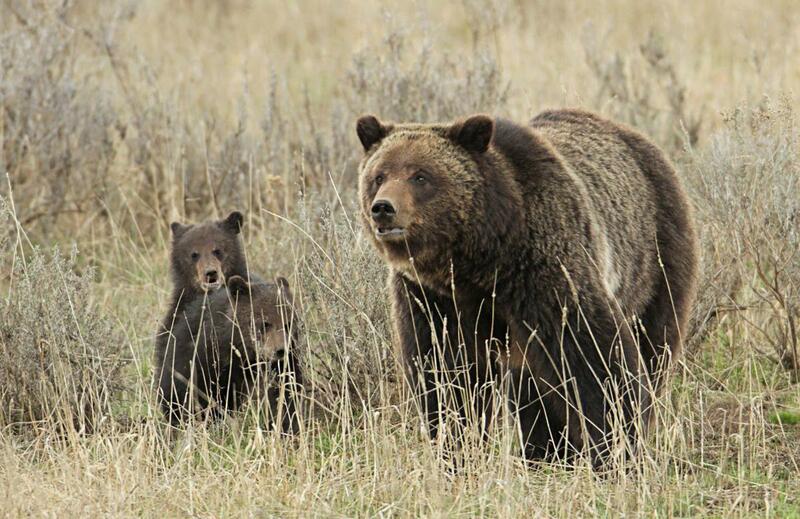 Most of those are concentrated in the Greater Yellowstone Ecosystem around Yellowstone National Park (about 700 grizzlies) and the Northern Continental Divide Ecosystem between Missoula and Glacier National Park (about 1,000 grizzlies). 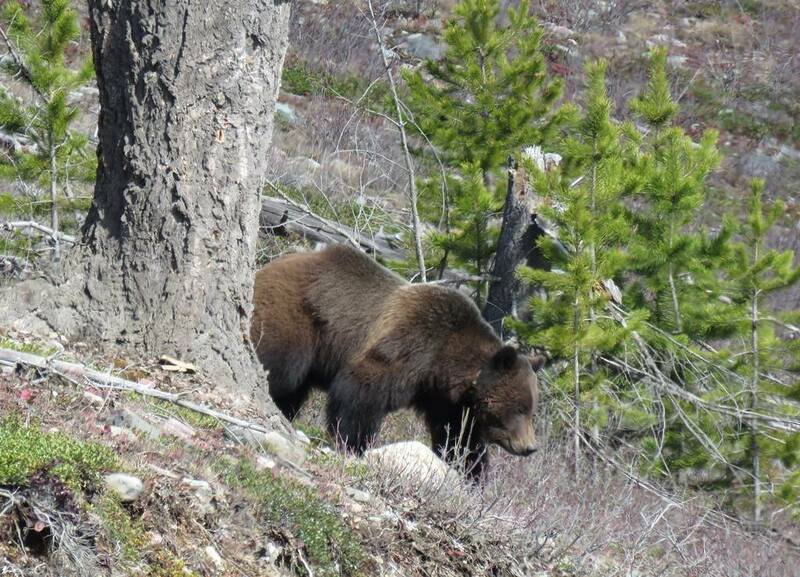 Here’s the official press release regarding those two delinquent grizzlies that were captured near Whitefish and released near Frozen Lake a few days ago . 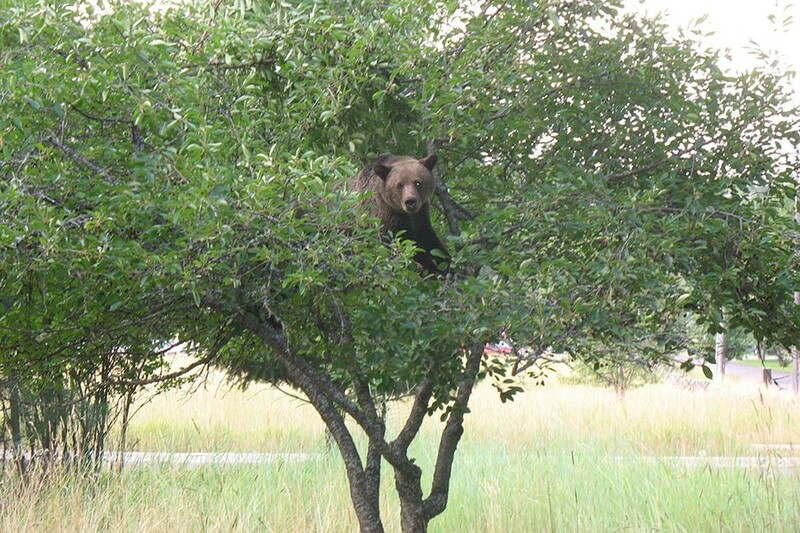 . .
A young grizzly showed up in Whitefish on August 9 on Dakota Avenue in a residential area. Grizzly Bear Management Specialist Tim Manley set a trap in the late morning near the cherry tree the bear was observed in. 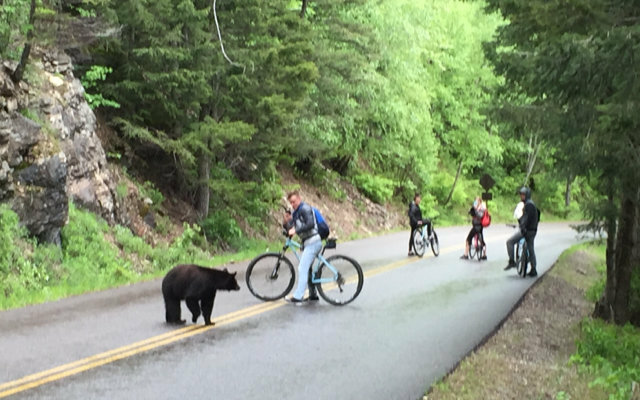 The bear was seen several more times that evening near Wildwood Condos and the Lodge at Whitefish Lake. A springtime reminder from Montana Fish, Wildlife and Parks . . .
With a mild end of the winter, some of Montana’s hibernating black bears and grizzly bears are beginning to stir. Adult males usually emerge first from winter dens in mid-March, but some bears have been sighted in Yellowstone National Park. When bears emerge from their dens they are physically depleted and food is a priority. 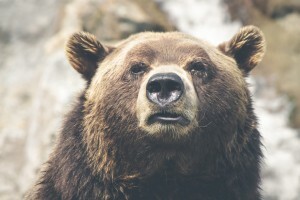 Bears are often tempted to go where raccoons and domestic dogs are getting into garbage. If these animals are already causing problems nearby, consider it an early warning that food attractants are available and need to be removed. 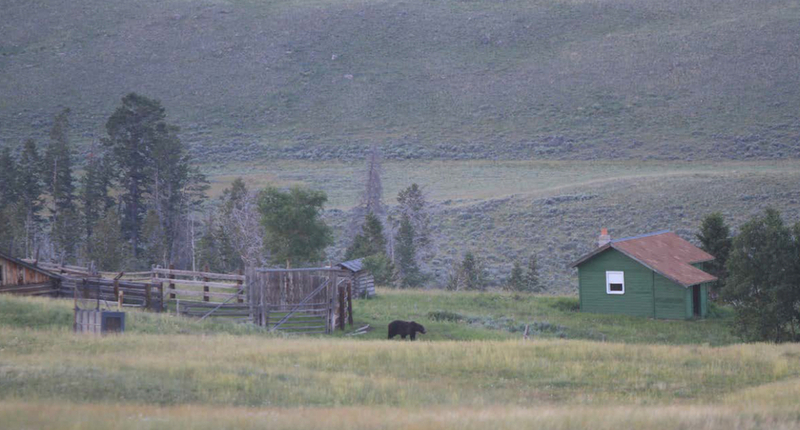 FWP recommends bear resistant bins in communities and on ranches; electric fence systems to protect bee yards and sheep bedding grounds; random redistribution of livestock carcasses each spring; and educational programs in schools and communities.